Dr. Kenneth Wachs specializes in Oral and Maxillofacial Surgery. He received his Bachelor of Science Degree in Bioengineering at the University of California, San Diego. He then came east to earn his Doctor of Dental Surgery (DDS, with honors) from New York University College of Dentistry. Dr. Wachs completed his multi-level residency in Oral and Maxillofacial Surgery at New York University/Bellevue Hospital Center. 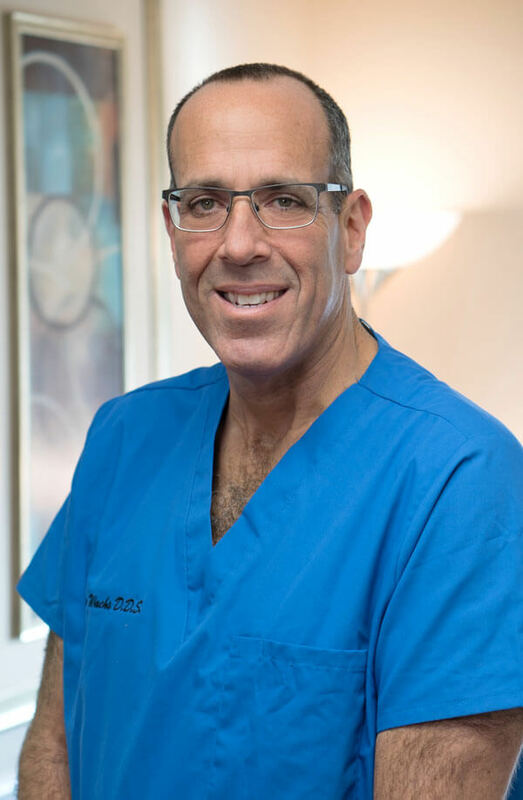 Recently, Dr. Wachs has introduced guided implant technology to Family Dentistry of Yorktown so that we are able to our patients the most precise dental implant placement available. Jen and Ken opened Family Dentistry of Yorktown in 2001, when their oldest was just one. They now have five fun-loving children (three sons & two daughters) as dentists in “training”. When the Wachs family is not in the office, they like to travel, watch hockey and most of all – to be together.